Everyone loves a good massage, including our animal companions. The same relaxation and relief from pain that you experience when you have an excellent massage therapy session can also be enjoyed by your furry family members. Not only is giving your beloved Shiba Inu a fun way to bond with them, learning how to give that massage is super easy! And no, massage therapy for your Shiba Inu isn’t just heavier petting! Believe it or not, people have massaged their animal companions throughout history. Evidence shows that ancient Egypt, India, and China saw the benefits, and experiments were prominent in the 1800s. 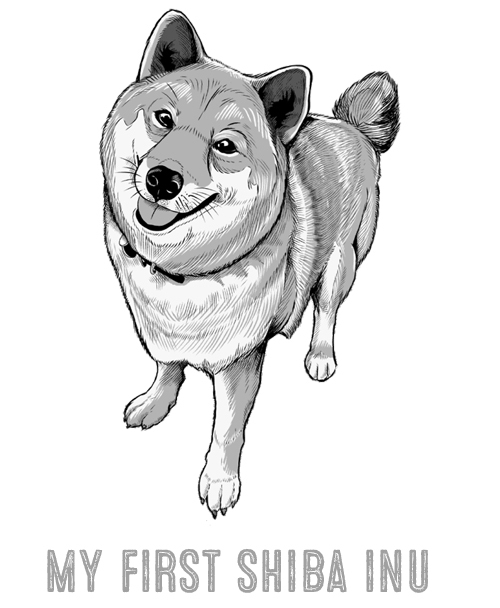 Imagine all the good this can do for your Shiba floof-ball, especially as your pup grows into an adult and senior doge. However, like with human-based massage, there are some contraindications that you want to be careful about. If your Shiba Inu is in shock or has extremely low blood pressure, you don’t want to give them a massage to calm them down. Massage can lower the blood pressure too much and put your dog at risk of cardiac arrest. Also, fevers may be a sign that your Shiba Inu has an infection. Instead of administering massage to reduce pain, take your dog to the veterinarian immediately. Open wounds, bacterial and skin conditions are also contraindicated for massage. Lastly, don’t perform massage if your Shiba Inu has torn muscles, ligaments and tendons, influenza, and/or coughing. One of the greatest benefits of massage for your dog has nothing to do with physical benefits. ​When you massage your dog, you are promoting a sensation of safety. He or she will feel relaxed, subdued, and valued. Touch is as important between human and animal as it is for person-to-person relationships. Even if you don’t have all day to spend with your furry best friend, a 10-minute massage can reassert how much you love him/her. This will be an incredible bonding time for your and your Shiba Inu. Plus, as you give your dog some TLC, you can also check their health. You can palpate for lumps, bumps, scabs, and scars. There are various techniques that you can use throughout the day to help pamper your Shiba. 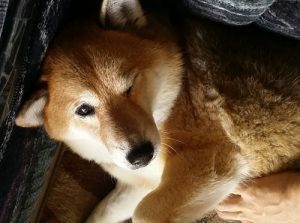 Just as a normal massage therapy would commence, you should take into consideration what you and your Shiba Inu have been doing during the day and recent past. For example, if you took a long walk through the hills, you might want to do a regular maintenance massage. However, if there was fireworks an hour earlier and your dog is still cowering in fear, you can use some techniques that help soothe their anxieties more quickly. Yes, simply “holding” your dog is part of the massage. Trust is a key piece of massage technique, and so the key of holding is to ground yourself, removing distractions from the environment and just allowing you and your friend to breathe together in the space. It sounds kind of new age-y, I know, but trust me, it’s worth it. Place your hands on your dog’s back and withers (upper back by the collar). Breathe, and imagine warmth pooling into your palms. After breathing a couple minutes here, move your hands to other places, like the chest, rump, belly, shoulders, and hips. With light pressure and open hands, move down both sides of the spine. The lighter, the better. If you have a squirmy dog, the more slow and controlled you are, the more willing they will be to sit still. Run your hands down his/her spine several times. Lightly rest your palm at the top of your dog’s withers. Start with the broad stroke, making wide, light passes from the back of the neck to the rump. Gradually increase pressure if needed. Then, once you have made these sweeps several times, rest one hand at the base of the dog’s skull, right at the neck, and the other hand over the pelvis (the high point of the hips) and gently knead. These two areas are connected to the section of the spinal cord that controls parasympathetics (or rest and relaxation). Plan on going for run with your Shiba Inu? In the same way many people lightly massage their leg muscles before activity, you can do the same for your Shiba Inu. Start with several minutes of holding and broad strokes, making sure to touch every important part. Then briskly begin rubbing the larger muscles--shoulders, buttocks, thighs, and neck--with the heels of your hands. Once done, start kneading the muscles like dough. After you have completed the kneading, it is time to warm the legs. Gently wrap your hands around the paws, giving a gentle squeeze. Work your way up the leg. Older Shiba Inus will find this method especially satisfying. After warming your dog with some holds and broad strokes, you can begin to pay attention to the joints. Place your hands over the affected area and apply soft compression. Use your breathing to count as the natural rhythm of the pulses you make. The pumping motion on muscles will help guide fluid through the tissues and away from tendons. Never do this directly over bone, just on tissue. There you have it--the whys and hows of giving your Shiba Inu a massage. Making massage a regular part of your precious doggo’s life will not only make the bond between the two of you stronger, you can proactively prevent issues that contribute pain and stiffness. 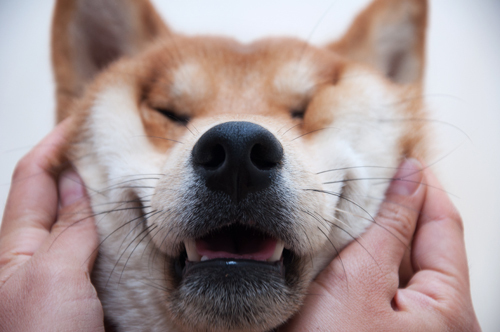 Massage for your Shiba Inu requires no special training or tools, so you can start right now!